Total health requires examination of every aspect of one's body, if not also one's mind and spirit. But often left out of a person's self-examination is the issue of colon health, perhaps because the subject of elimination is misunderstood or embarrassing. It's also the source of crude schoolyard humor, adding to the reluctance to address what's really going on down there. Colonic hydrotherapy is a growing health field determined to face people's fears and lack of knowledge about this part of the anatomy. Also known as colonics or colonic irrigation, it is a means of safely and effectively cleansing the colon or large intestine of accumulated waste and toxins in ways that normal elimination in the bathroom up to three times daily cannot. The human colon is up to six feet long and the average adult has between five to twenty pounds of accumulated waste in the colon. Not helping this accumulation is the average American diet, abundant in refined foods, flour, meat, fat, sugar, alcohol and preservatives. Erratic eating habits and improper food combining are other factors contributing to this waste material. Who's a good candidate for this procedure and how does it help? Colonic hydrotherapy is recommended for people with digestive disturbances, acne, constipation, depression, mood swings, and low energy. It's also effective for women between the ages of thirty-five and fifty-five and people in high-stress careers, those type A personalities who tend to store negative energy, stress and tension in their large intestines. The benefits are many including relief of constipation, gas and bloating, weight loss, an increase in energy, and a purged feeling of well-being. "I believe our lifestyles do not support healthy digestion and elimination," says Alder. 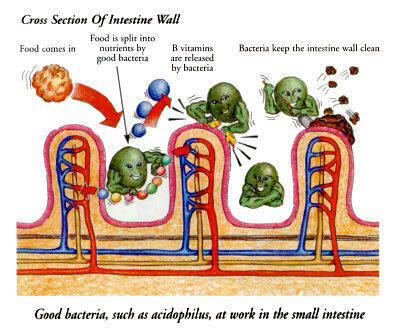 "The colon contains the largest concentration of bacteria in the body. Most of this bacteria is beneficial and necessary to make vitamins B and K. However, waste remaining in the colon longer than it should results in fermentation and putrefaction which may produce harmful bacteria and other toxins that negatively impact the body. "The most common indicators of an unhealthy colon are constipation, diarrhea, foul smelling stools, gas or bad breath. Cleansing the colon of waste through colon hydrotherapy has the added benefit of hydrating the colon, unlike laxatives which may be irritating and have a dehydrating and habit-forming effect. Colon hydrotherapy may also provide therapeutic improvement in muscular tone by simulating an exercise medium in which the colon's muscular walls expand and contract. A healthy colon is essential to a healthy body." One of Alder's most ardent supporters is client Bob Wolfe. His experiences prompted him to write a highly revealing account on her web site www.holistichealthmagazine.info Wolfe was a 230-pound karate expert in Eugene when he went on a fruit and salad diet to lose weight. Then he began a series of colon cleansings with Alder, which helped him eliminate a prodigious amount of useless waste material from his body and lose weight rather quickly. The process also led to increased energy for his workouts. "Colon hydrotherapy with Tara Alder has changed my life for the better in dramatic ways," Wolfe writes. "I was immediately put at ease by her supportive and non-judgmental demeanor." With 1,500 clients ages two to ninety-eight, Alder has a thriving business that makes her proud because of how she is helping people. "I feel very good about what I do," she says. "I understand the benefits of colonic hydrotherapy and feel rejuvenated by it. For me the largest benefit is hydration, as the water absorbed by my colon goes to my vital organs. It keeps me clean and free of debris collecting on the walls of my colon." Having a colonic hydrotherapy session as the seasons change would be wise, she tells her clients. "It's a great time because you're changing your food choices and lifestyle and making way for the new, fresh and vital," says Alder. "It's not recommended for everyone to do the procedure weekly or monthly. I look at the client's health history and goals and see what is realistic for them to attain their goals. I like to monitor their progress through the forms clients fill out in my office and the metabolic screening questionnaire on my web site." In business since 2000, Alder knows what to expect: "I want my clients to experience a renewed sense of vitality. When someone comes in with puffy eyes, I know that their liver cannot handle their toxic load. People end up really fatigued. Afterwards, the client will have more energy�People love this procedure. I have more repeat clients than anything. After doing a colonic hydrotherapy, they're ready to sign up for a package." Despite its many healthful after-effects, colonic hydrotherapy isn't for everyone. Pregnant women and people with anemia, lupus and carcinomas, among other medical conditions, aren't recommended candidates. Alder only takes clients upon a doctor's recommendation. And if the topic makes people uncomfortable? Alder eases into it with a matter-of-fact reality, "Everybody poops. Most problems you can ignore, but not this one. Making light of it is helpful. So is connecting on a human level." Holistic Health magazine.com is dedicated to providing timely information on health matters, but its contents are not intended to provide medical advice or diagnosis for individual problems or circumstances. Readers should seek advice from health professionals regarding the prevention, diagnosis or treatment of any disease. The information contained inHolistic Health Magazine is believed to be correct, but its accuracy cannot be guaranteed. The publisher, editors, and contributors are not responsible for errors and omissions. Copyright 2007-2010. holistichealthmagazine.com. All rights reserved.